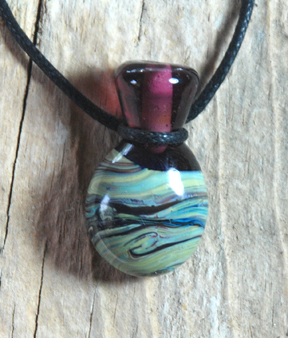 These delicate aromatherapy necklaces are completely handmade by me. 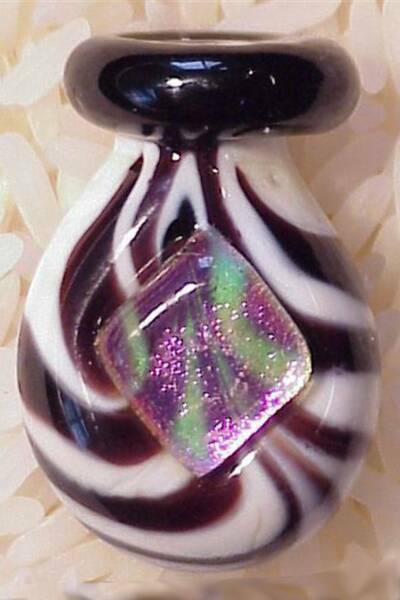 They are flame-worked glass, and average about 1" tall. Each necklace is strung on durable, adjustable length waxed linen cord. 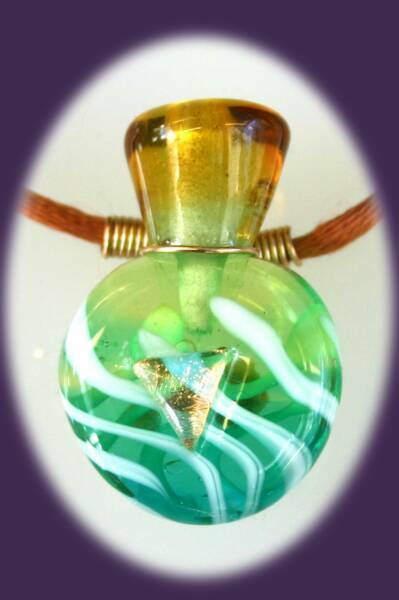 The bottles have a special absorbent ceramic liner which holds a drop or two of essential oil ( or perfume) and the warmth of your body causes the scent to diffuse as you wear the necklace. The result is a subtle, all-day aroma benefit controlled by your body temperature. 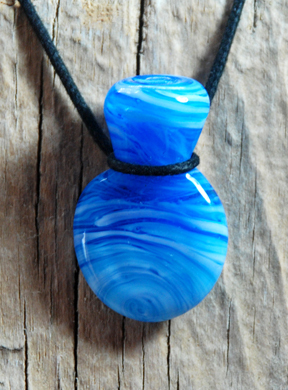 A few drops of essential oil will keep your necklace fragrant for a week to 10 days. Refresh the scent by adding a drop of oil as needed. Each bottle comes in a linen paper gift box with an enclosure card which tells about how it is made, as well as aromatherapy and using the bottle to carry a special wish or prayer. Half dram bottles of your favorite essential oils are available to go with your purchase.